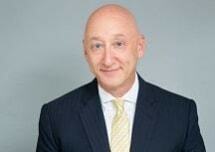 Michael J. Sachs is a principal at Callahan & Blaine. Mr. Sachs is an accomplished trial lawyer whose practice focuses on Business Litigation and Class Action Litigation. Mr. Sachs was born in Cleveland, Ohio on April 6, 1962. He attended Washington University earning his A.B. in 1984 and then proceeded to Boston University earning his J.D. in 1987 and his M.B.A. in 1988. Mr. Sachs was admitted to the bar in Illinois in 1987, in California and U.S. District Court, Central District of California in 1988, in the U.S. Court of Appeals, Fourth Circuit in 1993 and in the U.S. District Court, Eastern District of California in 1994. He was an intern for the U.S. Securities and Exchange Commission from 1986 until 1988. Mr. Sachs is a member of the Los Angeles County, Orange County, Illinois State and American Bar Associations as well as the State Bar of California. Mr. Sachs was an associate with Daniels, Baratta & Fine in Century City, California from 1988 until 1993 where he specialized in Business and Construction litigation. Mr. Sachs joined the firm of Callahan & Blaine in 1993 where he continues to concentrate in complex business litigation and class actions. Mr. Sachs is responsible for numerous multi-million dollar settlements in actions for and against fortune 500 companies and insurance companies. To date, Mr. Sachs has recovered over $100 million for his clients. Mr. Sachs has prevailed against some of the top trial lawyers in the country, including beating William Shernoff (the father of bad faith litigation) after a two month trial. In 1995 after a two-month trial, Mr. Sachs, received a defense verdict for his client, an insurance broker, in the case of American Samoa Government v. Affiliated FM Insurance Company. Opposing counsel, William Shernoff, ultimately recovered a judgment of $85 million against the remaining defendants for the American Samoa Government, making this case the largest one in California in 1995. Recently, Mr. Sachs has been trying large class actions in various courts around California. Mr. Sachs has tried more class actions in California than any other attorney. In recognition of his efforts, Mr. Sachs has been named a Super Lawyer for the past 8 years in a row.